LOS ANGELES -- He has been called the Dog Whisperer, El Perrero and Dr. Phil for Dogs. Now, Cesar Millan can call himself a U.S. Citizen. 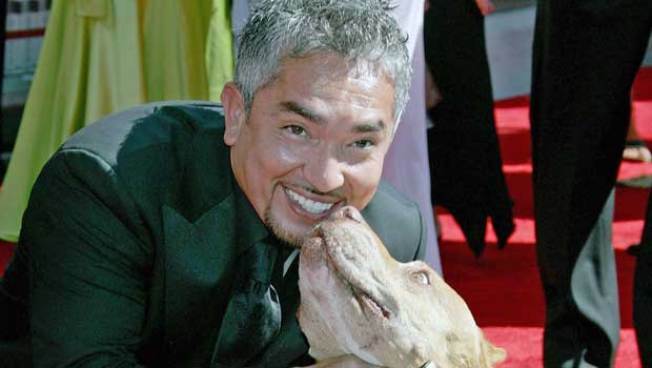 The alpha dog of National Geographic's "The Dog Whisperer" took the oath Thursday at a ceremony in Montebello, Calif. His family -- wife, Ilusion, and their children, 14-year-old Andre and 10-year-old Calvin -- also attended the ceremony, according to People magazine. Millan developed his chemistry with canines on his grandfather's farm in Mexico. The locals called him "El Perrero" (The Dogman), according to his website. He came to the United States as a young man, and he became a legal resident in 2000, according to People. "This is the ultimate culmination of living the American dream," Millan said in a statement. "Becoming an U.S. citizen has been a goal of mine since I first came to this great country. I have much to thank this country for, and all of the success it has afforded me and my family, and now I am proud to be a citizen." The 39-year-old Millan works with dog owners, including celebrities like Oprah Winfrey.